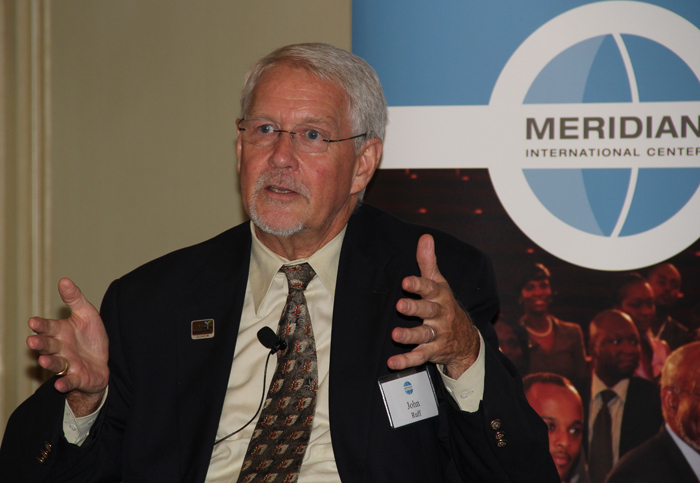 On July 8, 2014, Meridian, along with partners, the Global Action Platform, and the Diplomatic Courier, hosted a panel discussion on Policy Priorities for Abundant Food, Health, and Prosperity. 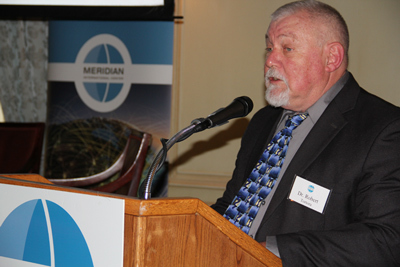 The discussion featured introductory remarks by Dr. Robert D. Tortora, Principal Scientist and Chief Methodologist, Gallup. In a dynamic discussion to follow, cross sector leaders came together to discuss policy priorities for creating abundance through innovation in food, health and prosperity in the next five years. The discussion highlighted recommendations for action to advance sustainable economic growth and prosperity for an increasing world population. 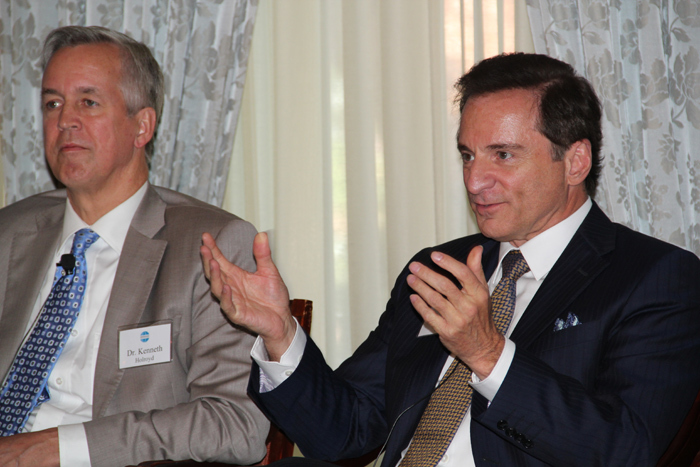 Panelists included Dr. Kenneth Holroyd, Assistant Vice Chancellor for Medical Research, Vanderbilt University, John Ruff, President Emeritus, Institute of Food Technologists, and Dr. Scott T. Massey, Chairman and CEO, Global Action Platform, and Professor of Strategy and Competitiveness, MOC. 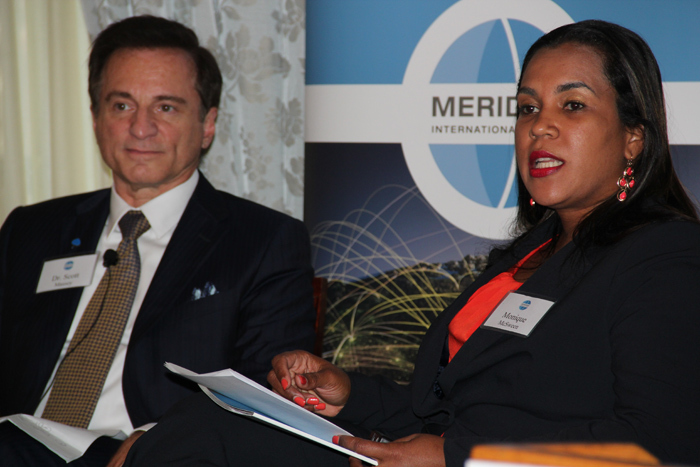 The discussion was moderated by Monique McSween, Meridian’s Vice President of Communications. Dr. Tortora presented the findings from 2013 Gallup World Poll survey of 135 countries, which addresses the issues of food, heath and prosperity around the world. The Gallup World Poll provides a scientific window into the well-being, attitudes and behaviors of 98% of the world’s residents through randomly selected, nationally representative samples. In analyzing the data from around the world, Dr. Tortora reiterated that food, health and prosperity are important drivers of wellbeing and it is important to look at overall life evaluations of people around the world when defining the policy priorities on these issues. In sharing their perspectives on creating abundance in food, health and prosperity, panelists underscored the importance of eliminating food waste, reducing greenhouse gases, providing an effective food delivery and distribution system, growing food in a sustainable way, educating consumers, optimizing healthcare delivery, providing expertise and training to health care providers in the developing world, advancing research and innovation, and keeping people connected through technology. The need for public-private partnerships in finding innovative and optimal solutions to the challenges surrounding food, health and prosperity was highlighted. Advance copies of the 2014 Global Action Report were distributed at the program. The Global Action Report documents proceedings of the annual Global Action Summit, providing summaries of major ideas, recommendations for action, long range vision frameworks, and exemplary stories and analysis relevant to creating abundance through innovation in food, health, and prosperity.